Features:This version of the LED backpack is designed for two dual 14-segment "Alphanumeric" display.. 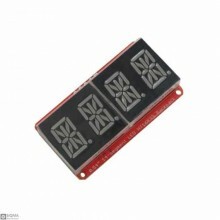 Description:The module is a 12-foot clock with a common four-anode tube (0.36 in.) Display module fo.. 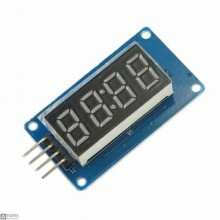 Features:Chipset TM1638Supply Voltage: 5V DCDisplay: 8 x LED's and 8 x 7 Segment DisplaysInput : 8 x..